Back again for the third installment, of "My spectacularly talented friends." Previously, we have explored graphic print fashion of Toronto-based Instanticon and the amazing new kid t-shirt subscription company, The Curated Tee. Today, we shift away from clothing for one of my "cannot live without items" - Bubble Genius soap. 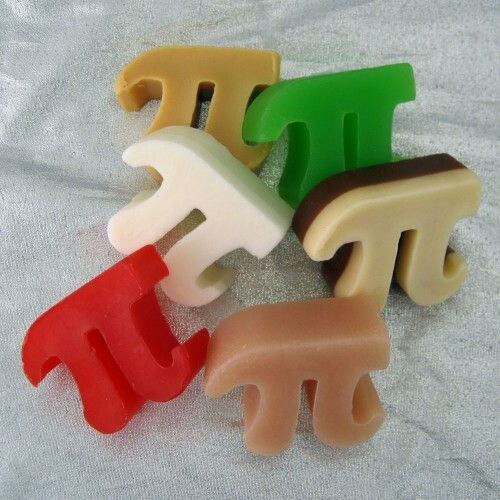 ,You probably have seen Bubble Genius featured on sites like GeekDad or IFL Science over the years (their element soap is as amazing as everyone says), or maybe you know their name for being the sponsor of The Bubble Genius Bob and Chez Show. Or you just happen to know me in daily, real world reaction. I cannot help but gift Bubble Genius soap, or at least rave about it to all my friends. You see, Paula and Sarah, the duo behind the brand, make some of the quirkiest vegan soap out there. They were my gateway product - so to speak - into vegan, natural beauty products. Over five years later, they are still a staple in my house. My soap dish always showcases my favorite designs (bringing smiles to guests' faces) and I, of course, have a favorite scent (oddly enough it is eggnog and only available with certain products in November / December). Their soap is vegetable glycerin-based (again, vegan, not tested on animals, and they strive to use natural and organic products - each product comes with its own ingredient list breakdown). They also make something for everyone: babies, mothers, ladies, men, the political, the artistic, the uber geeky, the kitschy, those really into holidays, and more. They even have the option to send a solider soap. Sizes, shapes, and prices vary from product - and they may vary slightly in color from the site (that goes without saying, but it's also soap and it is transient in nature). I know the soap looks too pretty to use, but with natural ingredients it is best to use them sooner rather than later. Here is a sampling of what they have to offer. I am partial to the element and photo bars, but like I said, they have something for everyone. I mean, who doesn't want a box of Pi?! They even have kits where you can make your own soap. Did I mention they make stuff for your furry friends? My dog Buster has been pampered by these products for years. 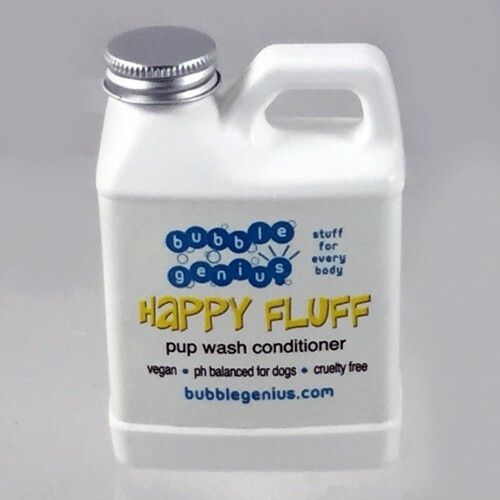 They have breath spray, paw protector, puppy perfume (for in-between bath times), plus shampoo and conditioner (the Happy Fluff pet shampoo is one of their products safe for cats - who happen to be hyper-sensitive to essential oils, who knew?). If for some reason, you are looking for something not quite on their site - they do take custom orders. Just contact them at info@bubblegenius.com and watch their creative magic at work. Their custom designs are great for all occasions (birthdays, weddings, parties, fundraisers, promotions, anniversaries, holidays, bar mitzvahs, thanks yous, and just because gifts). They add a little extra something that no one will forget. Trust me, I know. They made my wedding favors five years ago - no one will ever forget being offered White Russians and severed toe soap with green nail polish (all part of the That Rug Really Tied The Suds Together Big Lebowski Tribute Gift Pack). Bubble Genius soap really tied our reception together, March 27, 2010. We opted for a custom order of two items from their amazing Lebowski soap pack. For other information check out their FAQ page - and they have not missed a beat: from international shipping to wholesale information). If you live in LA, you have the added benefit of being near their wonderful lab with its wonderfully quirky storefront (1857 N. Victory Place, Burbank, CA 91504). You can arrange a visit (via info@bubblegenius.com) or check out their social media streams (Twitter; Facebook) to see when they are having open hours. Check back next week for final March installment of this series. All the companies featured are brands I would support, even if I didn't know the creative minds behind them.